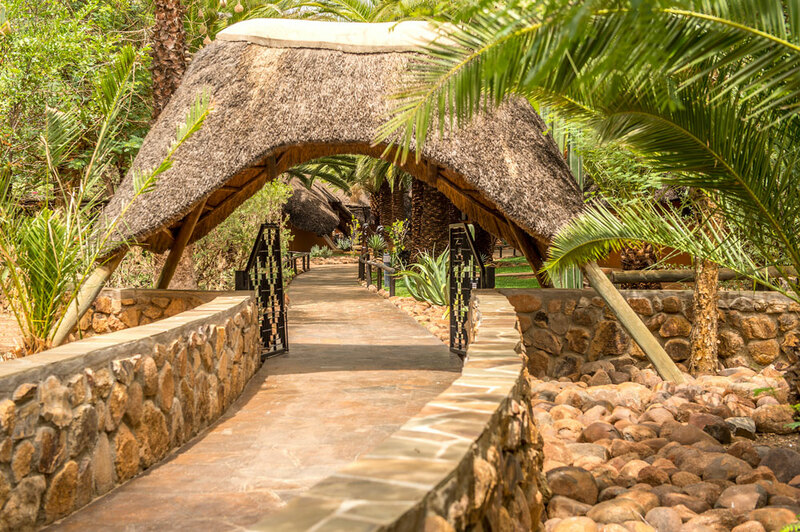 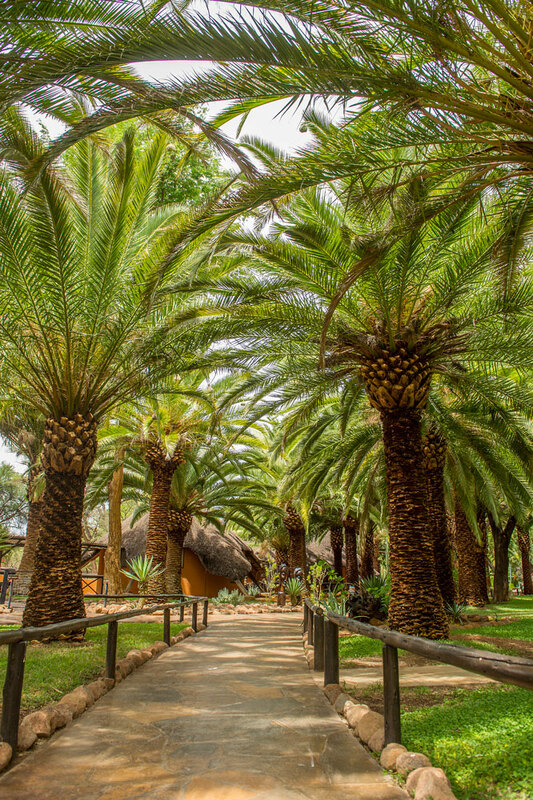 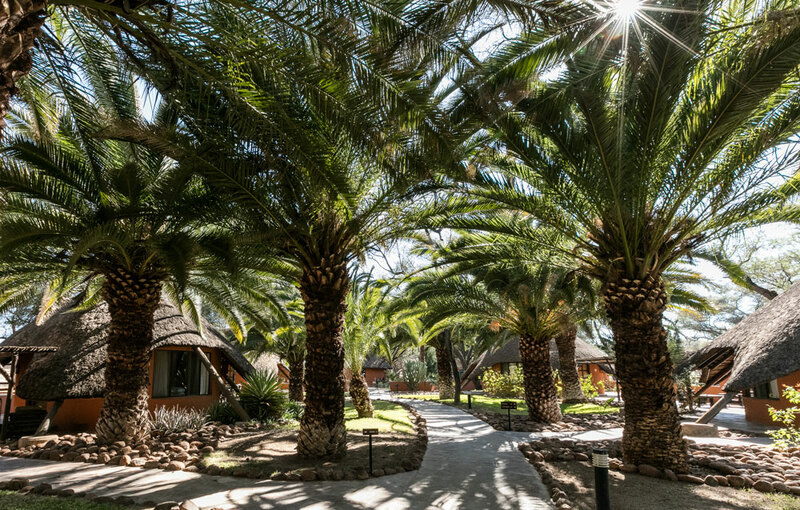 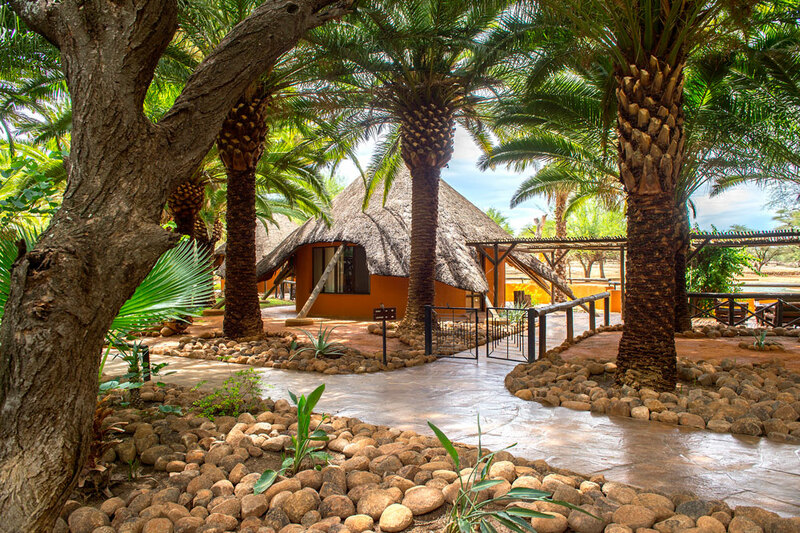 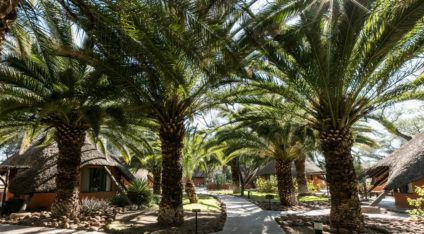 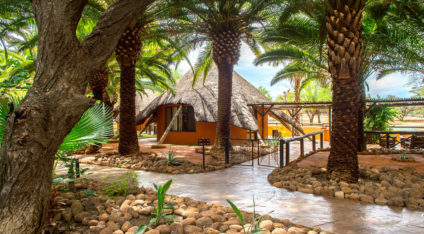 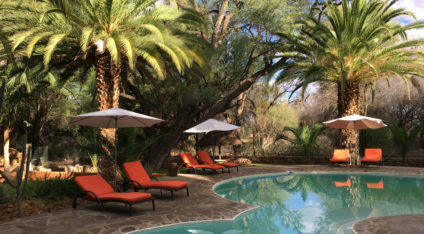 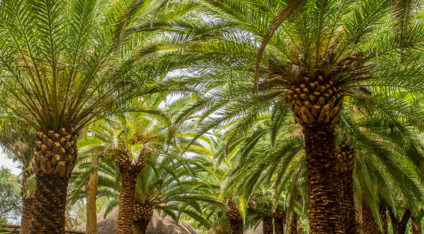 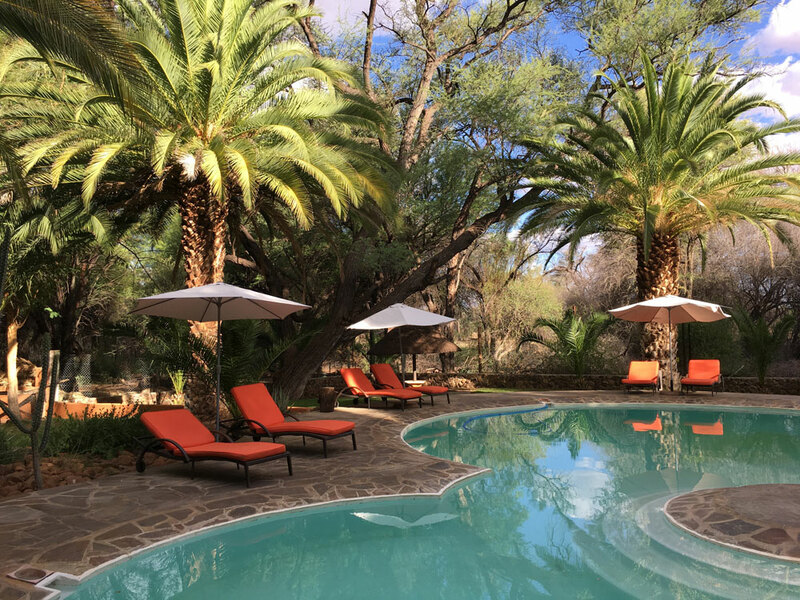 Nestled in a green oasis, the grass roofs bungalows are grouped around the large water place / waterhole under shady palm trees and welcome the guest in the middle of the African wildlife of the Omaruru Game Lodge. 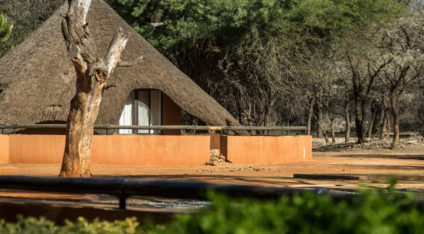 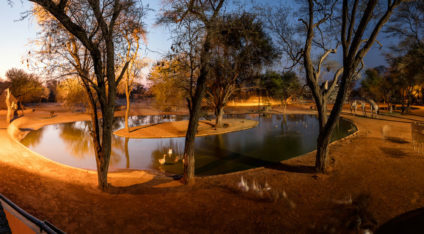 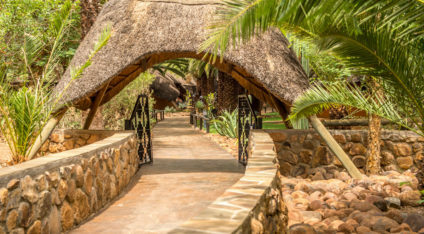 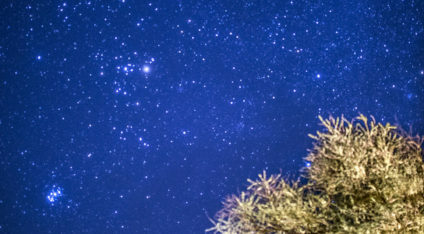 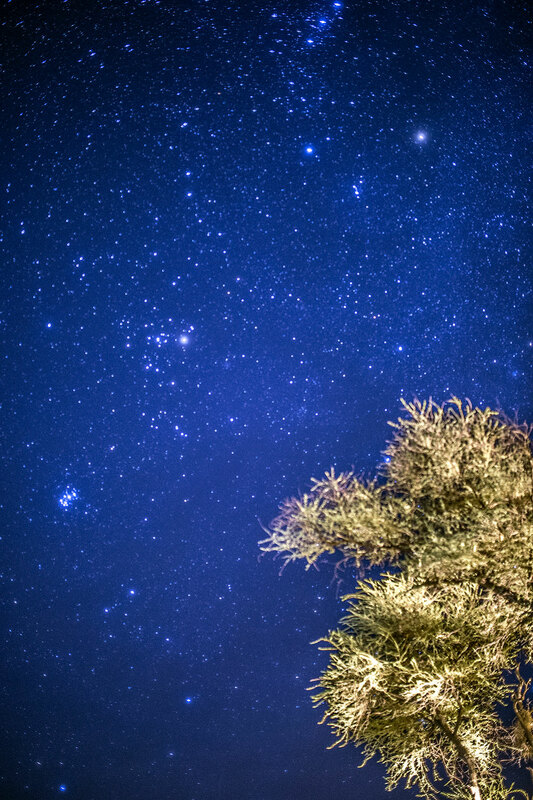 Each Bungalow offers its own veranda from which the visitors can observe the animals and immerse themselves into the unique atmosphere of the Omaruru Game Lodge or relax by the pool. 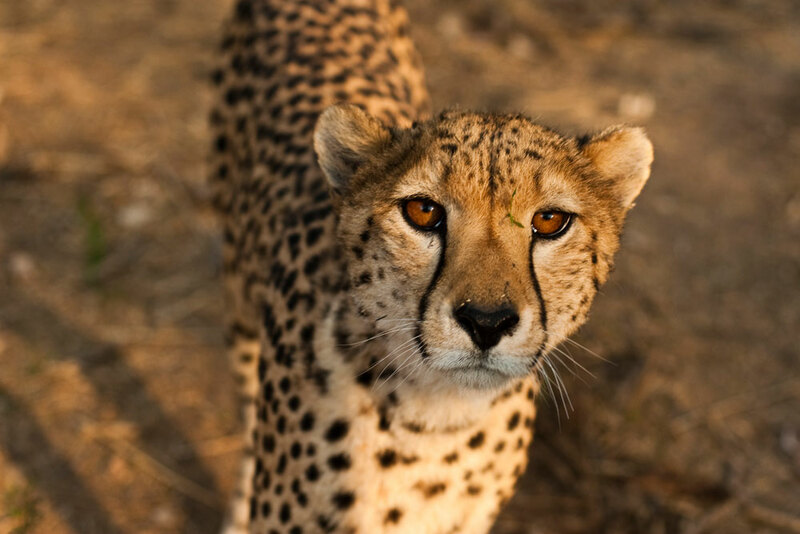 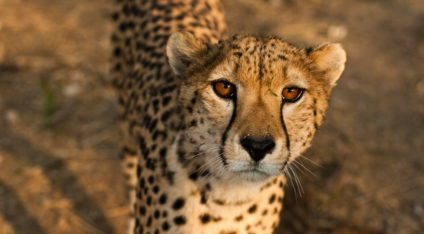 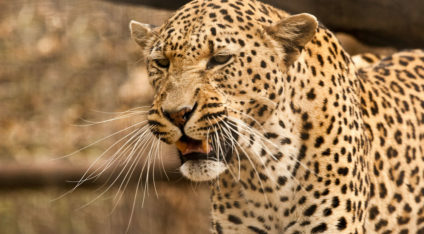 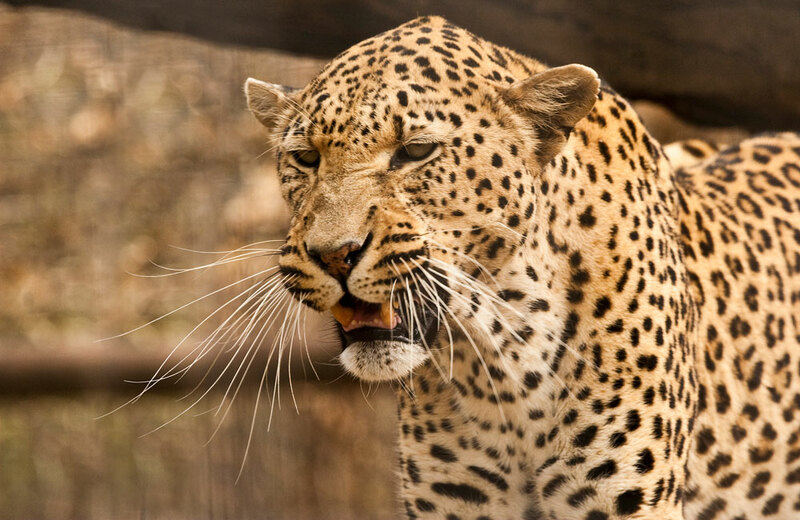 Both the leopard and the cheetahs are situated on the lodge site. 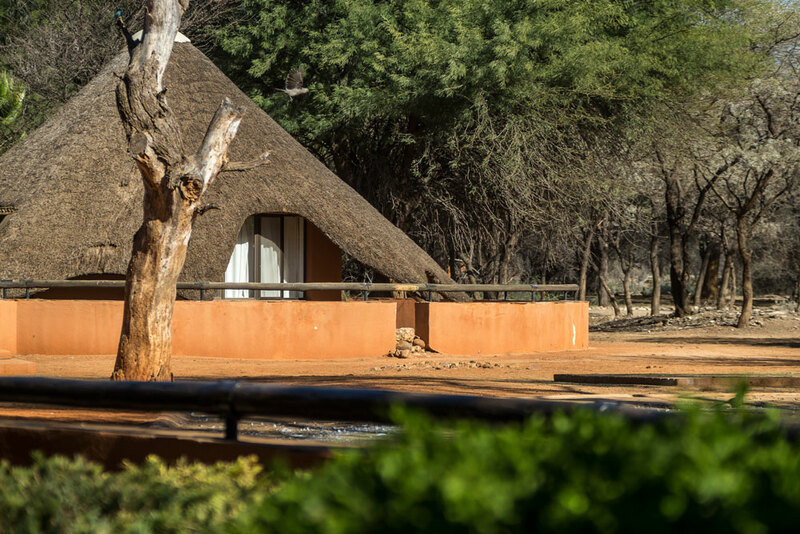 Join the daily feeding at 18:00 and experience those beautiful wildcats eye to eye.baboon and many types of birds.